The annual Downtown Oakville Jazz Festival is back for its 24th season. Showcasing modern jazz to the soothing classic sounds of yesteryear, there's a beat to get everyone moving. The music starts tonight, Friday, Aug 5 at 5:30pm and sails late into the night on Saturday, Aug 6. 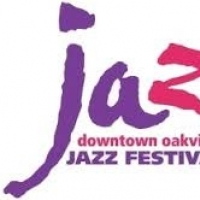 For the full event schedule and additional information, please visit the Downtown Oakville Jazz Festival website.